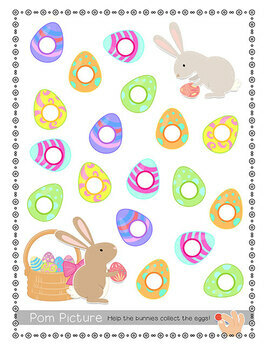 VIEW PREVIEW TO SEE INCLUDED ACTIVITIES!! 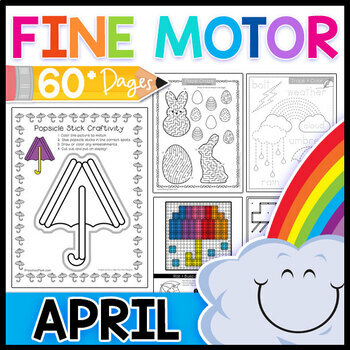 60 thematic, hands-on activities to build fine motor control skills for Spring! 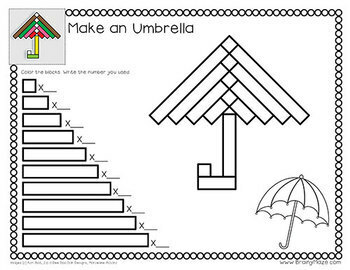 These thematic activity pages are perfect for your April learning centers. Great for early finishers, take-home resources, or as a tutoring binder you can bring on the go! TIP: Store in page protectors to reuse these pages again and again! MORE TITLES AVAILABLE IN OUR TPT STORE!! CUISENAIRE™ ROD PICTURES: Students use colorful centimeter rods to build thematic pictures.Students are asked to color the rod key to show how many rods they used of each color. BRICK BUILDERS: Students use classic building blocks to recreate these thematic pictures.Students work on storing, planning, and stacking before creating their final picture. This pack includes 60 pages of hands-on activities and resources you can use to enhance your classroom for an entire month. These resources have specifically been developed to keep the prep work to a minimum, while providing ample opportunity for your students to build their small motor muscles. The pack is organized into four weeks, and the simplest way to use this resource is to print it out and place into a three ring-binder. However, you might want to place many of the pages in page protectors for reuse. The first nine pages of each week are considered non-consumable and could easily be reused through out the years (Geoboard, Mazes, Playdough, Tracing, Cube Creations, Puzzle Pictures, Cuisenaire Rods, Brick Buliders, Pom Pages ). The remaining six pages of each week are considered consumable as they require cutting, gluing, dabbing and poking (Listening Skill Sheets, Dot & Poke, Cut & Sort, Dab & Dot, Pom Pictures, Popsicle Stick Craftivity). Many pages are adaptable if you do not have the manipulatives. For example, you can have students color instead of dab, or build.